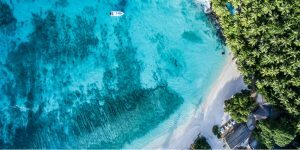 The Caribbean: that dreamy collection of 7,000 islands and islets located in the dazzling azure sea somewhere between North and South America. With a tremendous array of golden sands, dramatic landscapes, distinctive cultures and water sports to choose from, not to mention fabulously diverse food, you’re sure to discover your perfect island pairing here. Flying overhead, you’d be forgiven for thinking that the specks below were just that. But you’d be wrong. 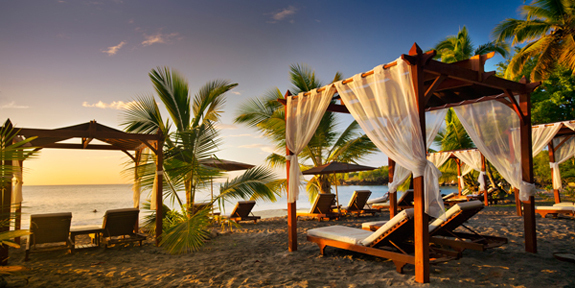 The Caribbean is an assortment of dreamy tropical islands, long considered the ultimate honeymoon destination. But for everything they share, there’s much more that makes them individual. Here we focus on a handful of our favourite islands. The Turks and Caicos are perfect for those after absolute escapism and spoiling luxury, while Jamaica’s strong reggae culture permeates every detail of the island. 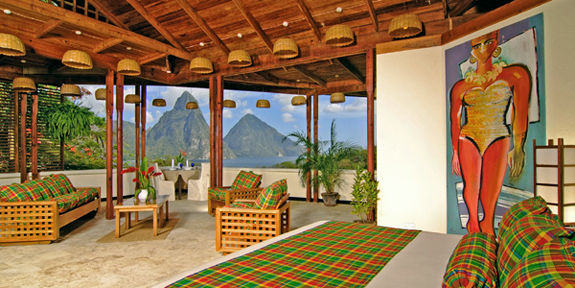 We also love St. Lucia for its dramatic landscape, birdlife and hiking trails in the Pitons, and St. Kitts and Nevis, which is largely unspoilt by recent tourism and retains its tranquil charm. 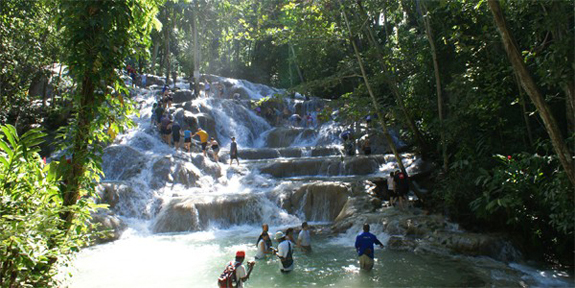 First up is one of the region’s most famous and popular islands, Jamaica. Located at the centre of the Caribbean Sea, it’s got an impressive selection of beaches (stand outs include Ocho Rios, Negril and Montego), an array of unique and delicious food (salt fish fritters, jerk chicken and rice and peas, to name a few), plus numerous vibrant towns and cities which embrace and celebrate the country’s turbulent history. In fact, we love it so much that we sent our Bookings Consultant Emily to explore for us; look out for her trip insights on the blog soon. Here, our places to stay are as diverse as the landscape – choose from a former recording studio, a clifftop bolthole or a mountainside retreat. 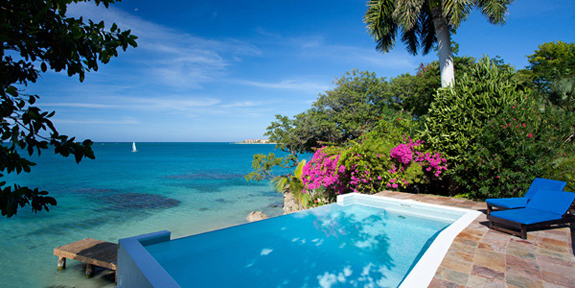 For a home from home, opt for colourful (and staffed) Culloden Cove, a gorgeous villa hidden away on Jamaica’s southeast coast. For utter escapism, head to Turks and Caicos, a collection of 8 large islands (the Turks) and 40 smaller cays (the Caicos) which are mostly uninhabited. There’s not much to do other than laze on the beach, stroll along the unspoilt sands, and, occasionally, celebrity spot – Bruce Willis, Keith Richards and Donna Karen have all been seen enjoying the Caribbean sun here! In fact, the place they’ve been sighted is the exclusive Parrot Cay by COMO island resort – the place to stay in the archipelago. Set on its own 1000-acre island paradise, Parrot Cay offers minimalist design, exceptional (and healthy) Caribbean inspired dishes, and outstanding service. Head to the spoiling spa, where the most difficult decision you’ll have to make is which massage to pick – deep-tissue, Thai, Indian, Shiatsu? Or try something more exotic like the ‘Shirodhara’ treatment, where a stream of warm oil is poured onto your forehead. 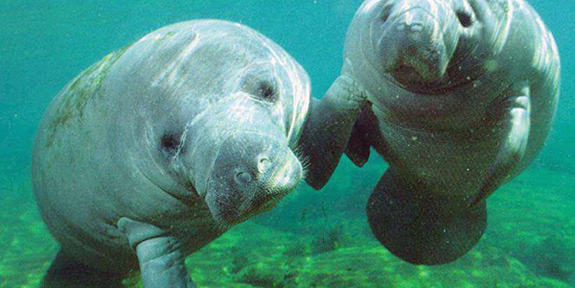 If you’d rather be more active, take to the water. 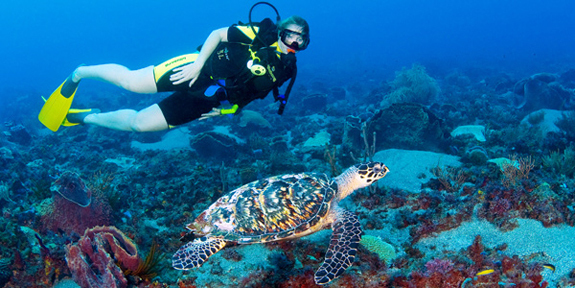 The beautifully clear sea has placed Turks and Caicos in the world’s top 10 dive spots: divers and snorkelers have reported seeing shoals of colourful fish, turtles, seahorses, dolphins, manatees, rays, whale sharks and even humpback whales. There’s an excellent dive school on Providenciales whose instructors will collect you from the resort, guide dives and teach PADI courses. 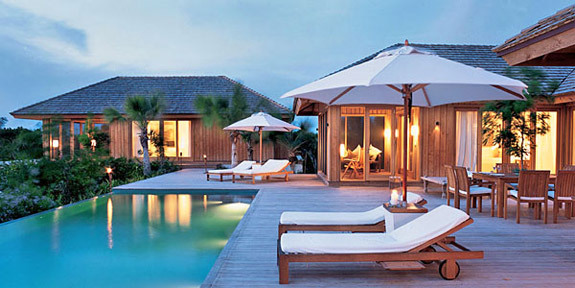 You can also go windsurfing, snorkelling, sea kayaking or island hopping. 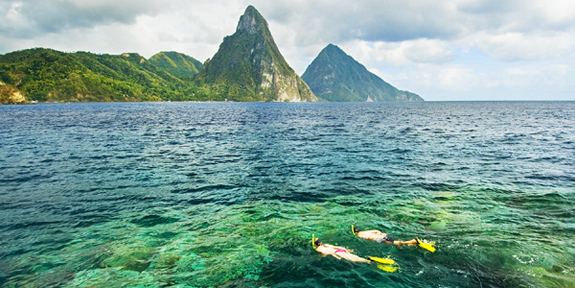 As you fly into St. Lucia, the thing that strikes you is the Pitons, iconic twin volcanic peaks that jut from the flat ocean. So it’s no surprise that the island is famous for its dramatic scenery – lush and exotic, with spectacular rolling hills, tropical rainforests, and acres of banana, coconut and spice plantations. Sure, you can find a gorgeous beach to laze on, but next to it will be amazing trekking opportunities. 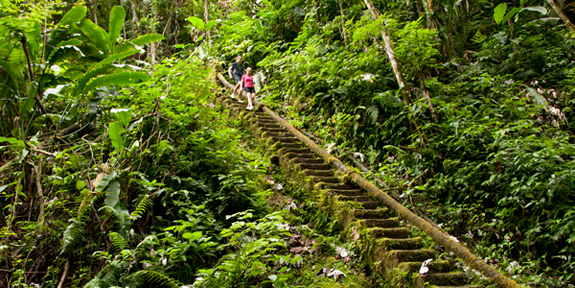 The Gros Piton is the easiest to climb and has its own welcome centre describing the local geography, while scaling the Petit Piton rewards you with better views. Discover multi-coloured birds in the Pigeon Island National Park (joined to the mainland by a bridge), take a dip in the sulphur springs, and go from café to café in the bustling capital, Soufriere, trying fresh fish curries, spicy soups and breadfruit. Stay in Anse Chastanet, one of the first hotels to be built on the island: you get beach, you get one of the best dive sites in the region, and you get perfect views of the Pitons, plus you’re still within walking distance of Soufriere. Alternatively, see our other stunning boutique offerings. Finally, we come to St. Kitts and Nevis: sleepy, laidback and largely unspoilt. The larger of the 2 islands, St. Kitts, has a strikingly varied terrain ranging from volcanic peaks covered with lush tropical forest and rolling sugar cane fields to the arid, southeast peninsula with its sandy coves. Smaller Nevis is mostly dominated by a forest-covered volcano, and its best beach is Pinney’s (on the west coast); a beautiful 4-mile stretch of golden sand lined with groves of coconut palms. 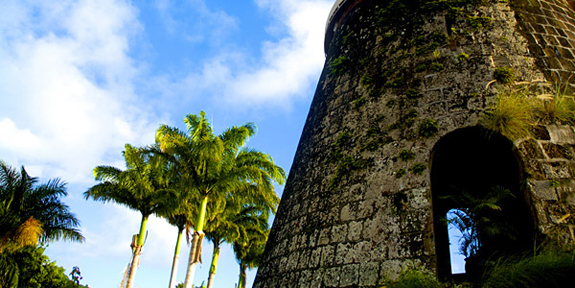 Unique to the islands are the historic plantation houses, many of which have been elegantly restored to create some of the most atmospheric hotels in the Caribbean. 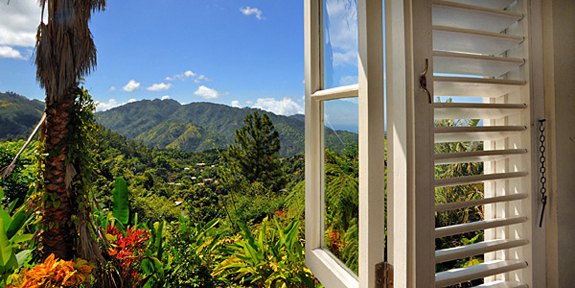 Montpelier Plantation & Beach is set on the slopes of Mt. Nevis, 750ft above sea level in a 60-acre estate; it’s famed for hosting the wedding of Horatio Nelson to Fanny Nisbet in 1787! 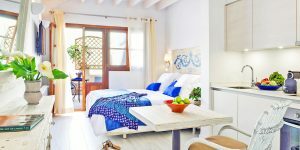 A little further north, a clutch of pretty ginger-bread cottages form Hermitage Plantation Inn; on offer are exceptional meals (accompanied by rum cocktails, of course) served on the candlelit veranda, plus hammocks for afternoon naps, and tropical gardens to wander in. The best (and thus most expensive) time to visit the Caribbean is from December to April when it’s dry, hot by day and cool by night. April and May tend to be much stickier and can feature sudden torrential downpours, while June-October is the official hurricane season; there’s no cause for panic, however, as satellite forecasts give enough warning that precautions can be taken. 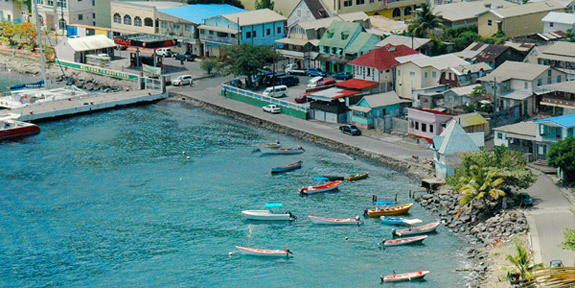 The Caribbean is such a diverse region that it’s hard to come up with a singular tip. The best we can do is to recommend you try the rum from Nevis, drink the coffee from the Jamaican Blue Mountains, and dine out whenever and wherever you can! 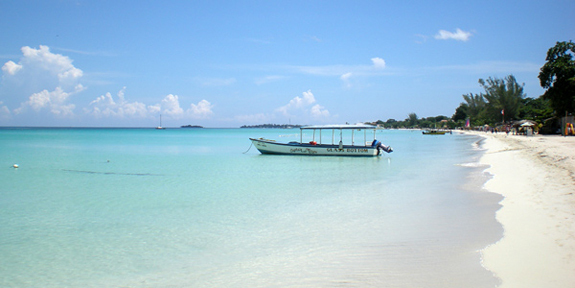 See our destination guide for more information on the Caribbean.